On my 21st birthday my friends took me out for dinner to an Indian restaurant in New Haven. I didn’t grow up eating Indian food. Growing up through the years I’ve had people who don’t know me tell me that I look Indian, which is ironic that all these years I’ve had a strong distaste for Indian food. That birthday dinner was the first time I ate Indian spices like turmeric. I don’t recall what I actually ate that night, but I do remember walking away telling my friends I enjoyed the food while really thinking the smell and the taste of Indian food made me sick. I’m pretty sure there may be some friends I haven’t seen in a while that think I really like Indian food. Since that time, I have tried Indian food again and again at various restaurants hoping maybe this time will be different. But it never was until recently when I learned how turmeric is a great anti-inflammatory spice. So as many of you know that I am a bit obsessed right now about healing inflammation in my colon, I’ve found that I suddenly can tolerate the smell and taste of curry. 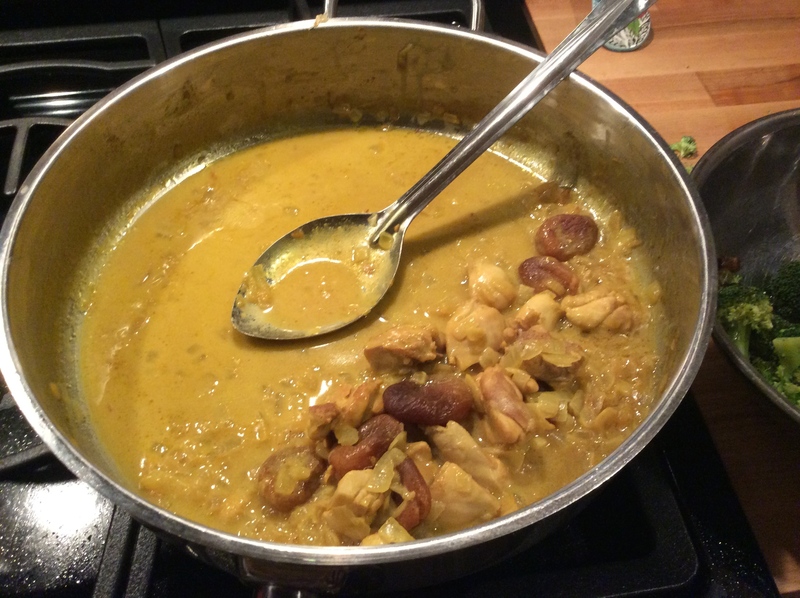 Tonight I made Christina Feindel’s Chicken Apricot Curry which is an AIP (Auto-Immune Protocol) dish, but one that anyone can enjoy with rice if you eat rice. 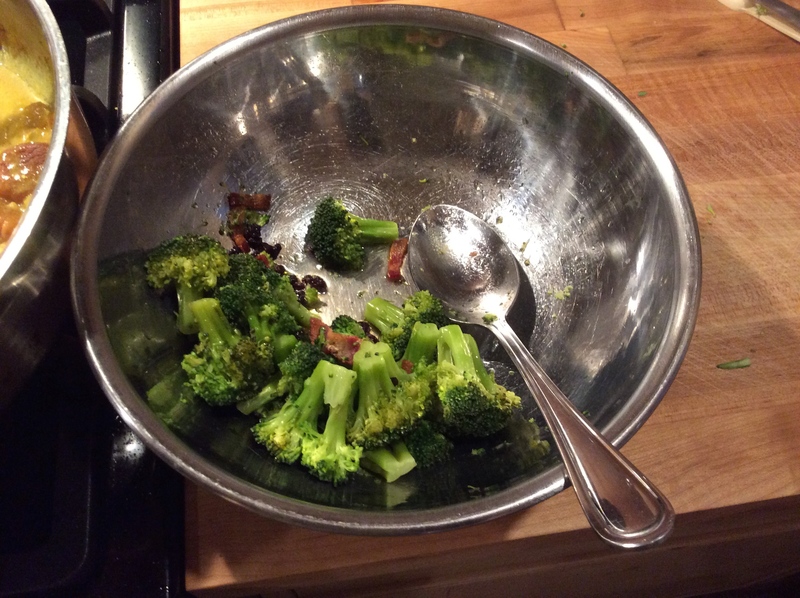 I ate it with Melissa Joulwan’s broccoli salad from her e-book Well Fed 2. Stephen and the kids, (or I should say “the kid” because Zane obviously did not partake) ate Sloppy Joes and then went for a walk while I was left to enjoy my own dinner. Thank you Stephen for a quiet dinner to myself. If anyone doubts that this little 5’1” gal can put away food in her belly, just take a look at the photos below. Yep, I ate half the pan of chicken curry and half the bowl of broccoli salad all by myself. Yum, Yum. Looks so good. Auntie likes Indian food.